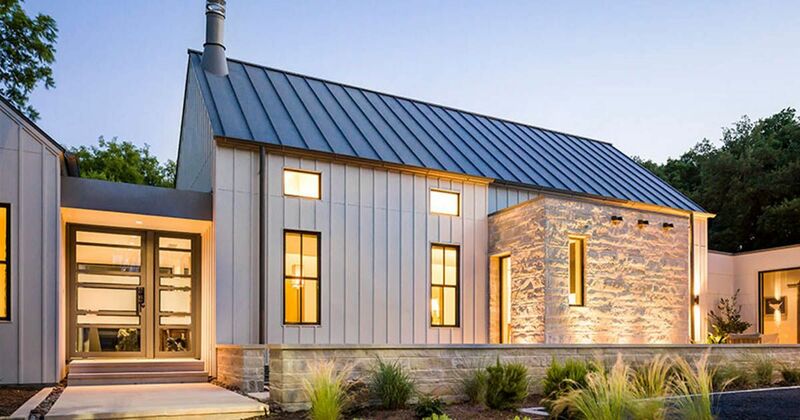 This Texas Farmhouse is based on old-fashioned designs of homes built with aluminum panels. This relatively beautiful variant adds a splash of modernity that makes the house more comfortable but lets it keep its old-world charm. 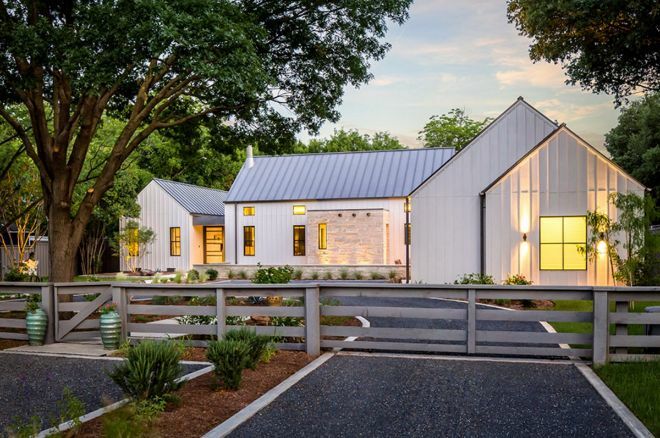 The board and batten aesthetic spills over to other pieces of the house -- features like the rain gutters are built from materials that would see at home on a rural farm. The rear of the house features its Farmhouse-style porch. 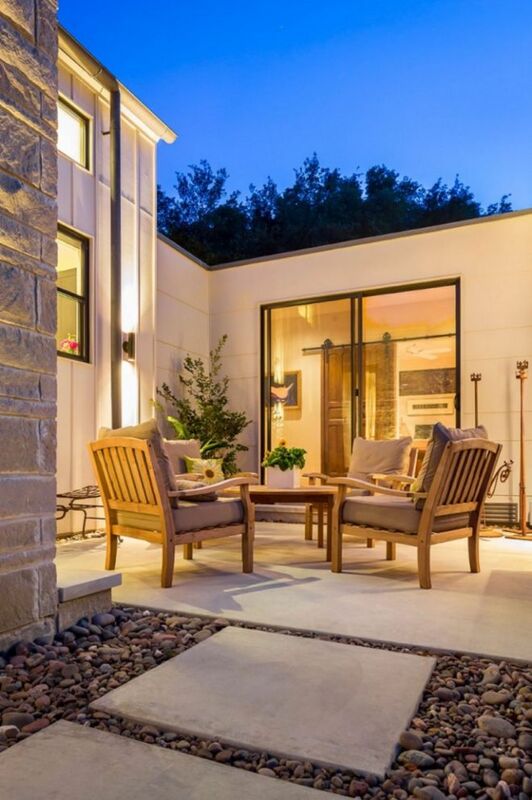 Because this house is built for the Texan heat, the yard features a large outdoor living section featuring a pebble pond and seating area. 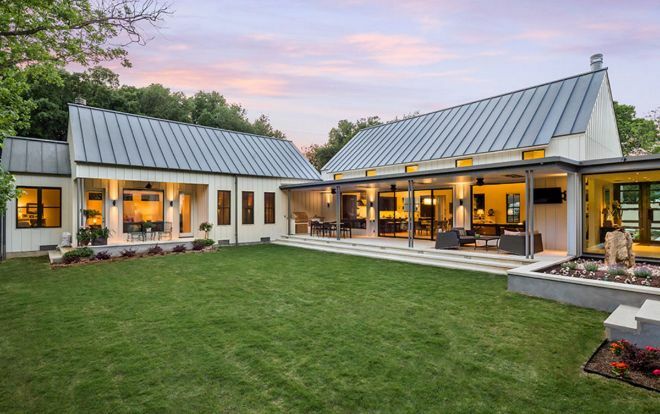 Note the industrial-style rain gutter and pebble walkway. The Farmhouse-styling finds its way inside the house, too. 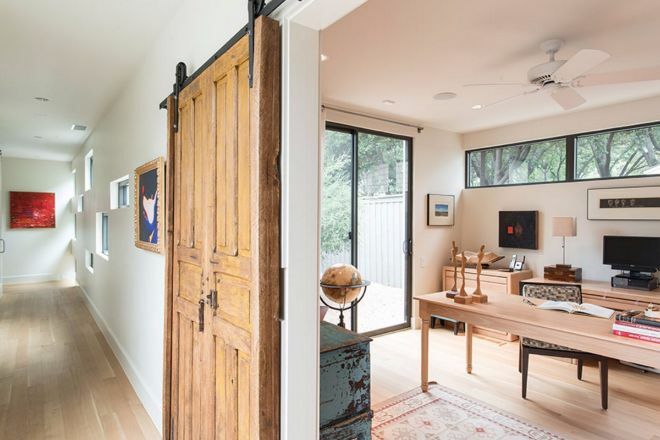 These sliding barn-style doors separate the hallway from the office. The kitchen exemplifies classic, timeless beauty. 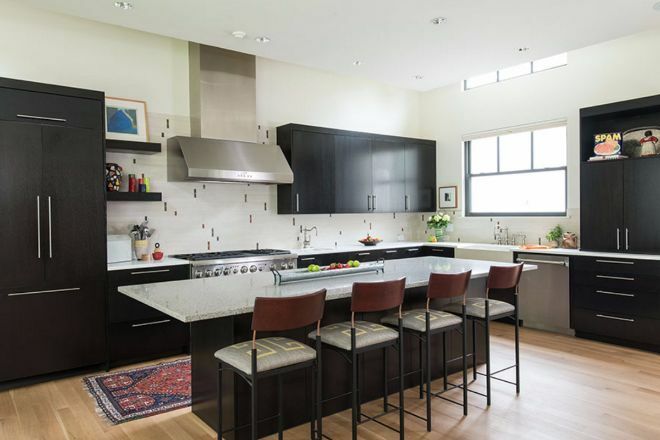 A large center island serves as a casual dining space. 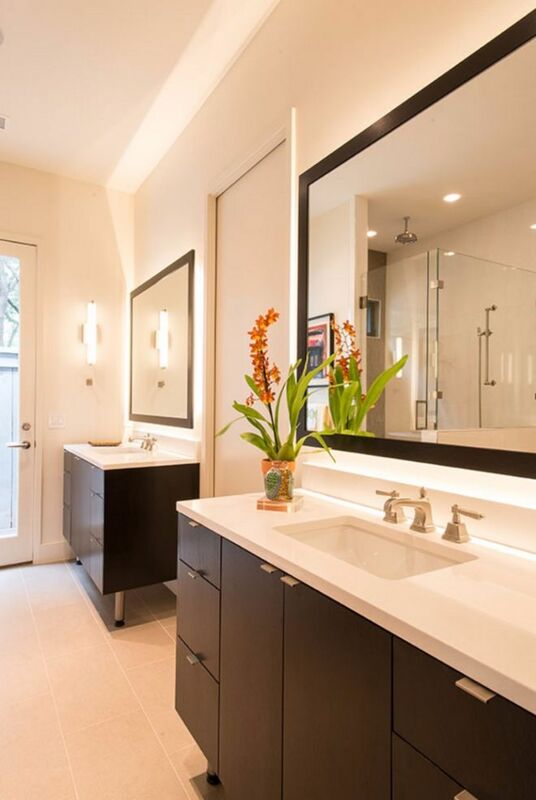 The bathroom, like the kitchen, focuses on timeless designs and color schemes. Black and white never go out of style! There's even a farm-inspired wooden fence that separates the estate from the street. The Farmhouse was created by Olsen Studios, and more photos of the building can be found on their website. If you loved this home as much as we did, make sure to share it with your friends on Facebook!